I had to squeeze another quick hike in today for the Hike366 Project. I got the suggestion to check out the Old Growth Trail in the McDonald Forest. The McDonald Forest, in my mind, was where literally everyone in town went to run, mountain bike and hike. Therefore, it had been low on my list of places to explore. But I hoped that mid-afternoon on a weekday wouldn’t be so crazy. Besides, the Old Growth trail was hiker only, so I wouldn’t have to share space with bikes. The weather was beautiful as I pulled up to Lewisburg Saddle. 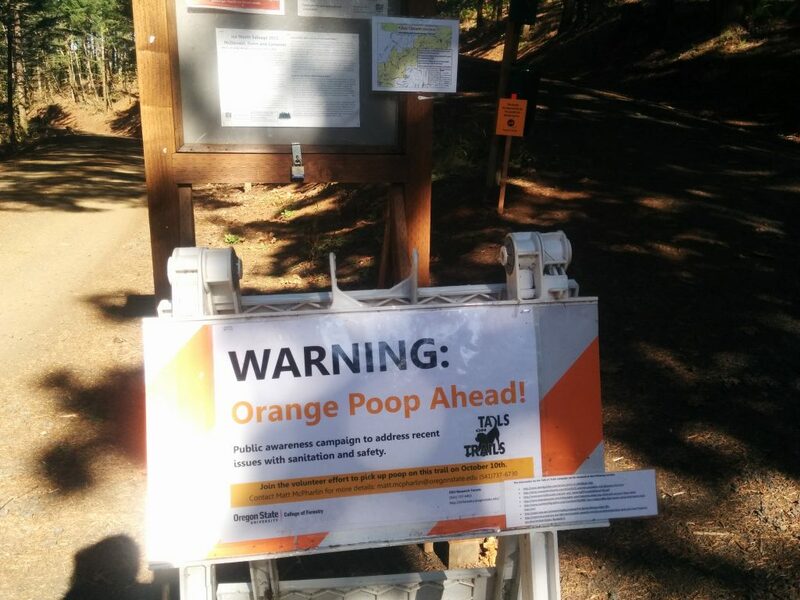 At the trailhead, there was a sign explaining an on-going awareness campaign related to dog poop on the trail. Apparently volunteers had spray-painted all the dog waste on the trail with orange paint so that people would be made painfully aware of how big the problem was. Wow! I kinda liked it. But, do the people that leave their dog’s crap right on the trail care enough to change their behavior? Do people really think it’s okay to leave that stuff behind? I doubt that the campaign would have much impact, but I did agree with the sentiment that dog owners need to stay on top of picking up their dog’s feces. I walked along the road and turned onto the New Growth Trail, which led to the Old Growth trail. It was interesting to observe the different types of forest so close to each other. 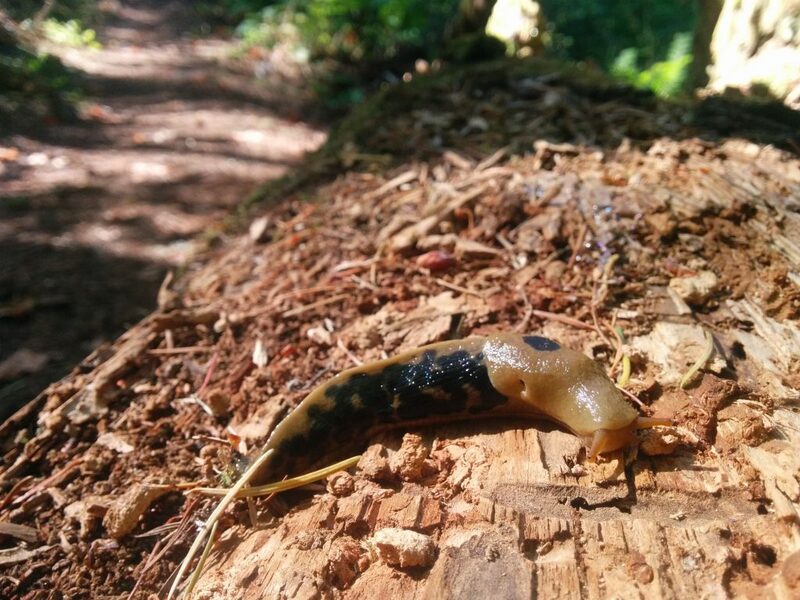 The highlights of the walk including seeing a banana slug and wandering by the quarry. Otherwise it was a pretty standard hike in the woods. I got back to the car in less than an hour and got back to my day. That was definitely a hike to check off the list and not get back in a hurry. Fortunately there are plenty of other trails nearby that I really enjoy, so there’s no reason to make a special trip back here. 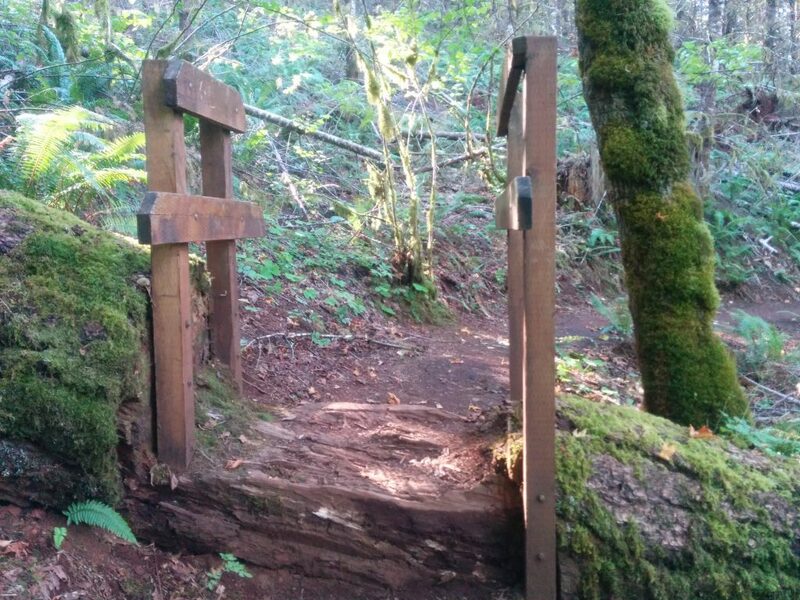 This entry was posted in Hiking, Oregon and tagged hike366 on September 29, 2015 by Jess B.